The correas in my garden are now starting to flower. These delicate ‘bell-like’ flowers have a range of colours and sizes. This particular one is the Chef’s Cap Correa – Correa baeuerlenii – it is from the Eurobodalla region on the south coast of NSW. 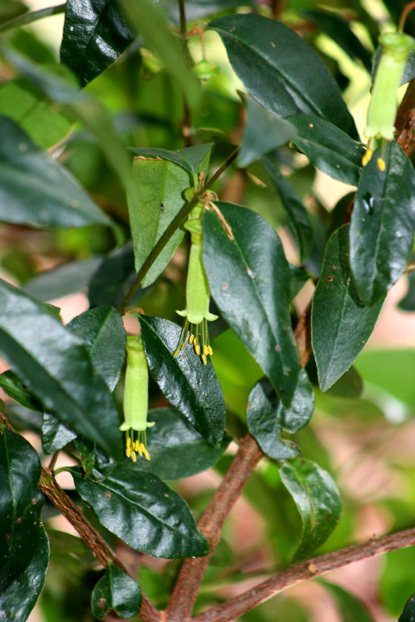 The Friends of the Eurobodalla Botanic Gardens use this particular rare endangered plant as their logo. 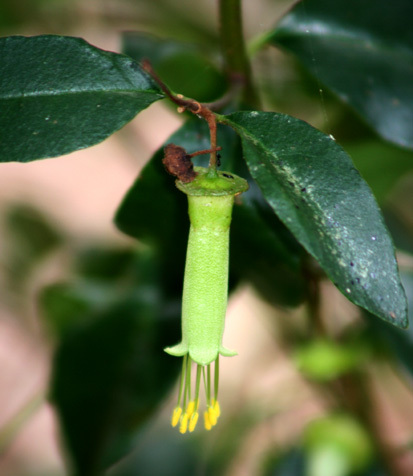 It’s name comes from the ‘chef’s cap’ shaped calyx from which the flower comes. It’s lemony green colour is subtle but it is one of my favourite garden plants.